Hope is restored to orphaned and vulnerable children in a loving, Christian home. Click image to learn more. Orphans reach out with God’s love to help their neighbors. Click here to learn more. Our older children learn life skills and launch their post-secondary education. Click on image to learn more. 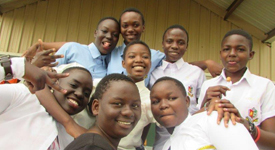 Our certified school is preparing the next generation of leaders in Uganda. Click image to learn more. Our missionaries are a key part of the Lulwanda family. Click on the photo to learn more. Building for the Future – UPDATE! 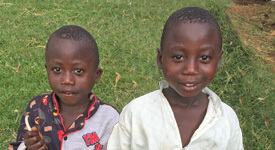 Help us to construct intimate, family -sized homes for the younger orphans at Lulwanda. Click here for more information and to participate. To all of our existing, recurring donors: please help us transition our online donor management system. Please click here for an important update on our donation system. 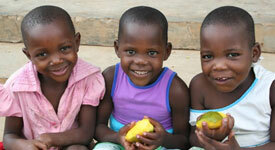 You can have a huge, positive impact on the lives of 120 orphan children in Uganda. Join us on Saturday, January 19 for our annual Fellowship Dinner. You will hear all about the progress achieved in 2018, and wonderful plans for 2019. Click here to reserve your seat or table. Sign up now to receive periodic newsletters electronically and stay abreast of the latest developments at Lulwanda. 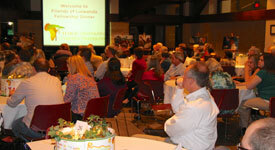 Registration Form... Click here to read recent newsletters.